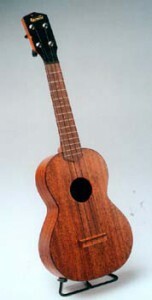 A fine sounding ukulele made from domestic tonewoods. The MAINLANDER fills the need for a basic, decent instrument, without frills. 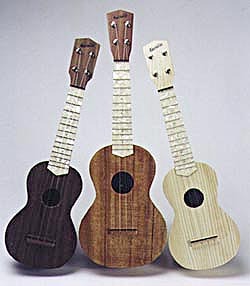 It’s available in standard, concert, or tenor size in a variety of mainland hardwoods, including Maple, Sassafrass, Pear, or Walnut, with a mesquite or pearloid fingerboard and Grover Sta-tite tuners.